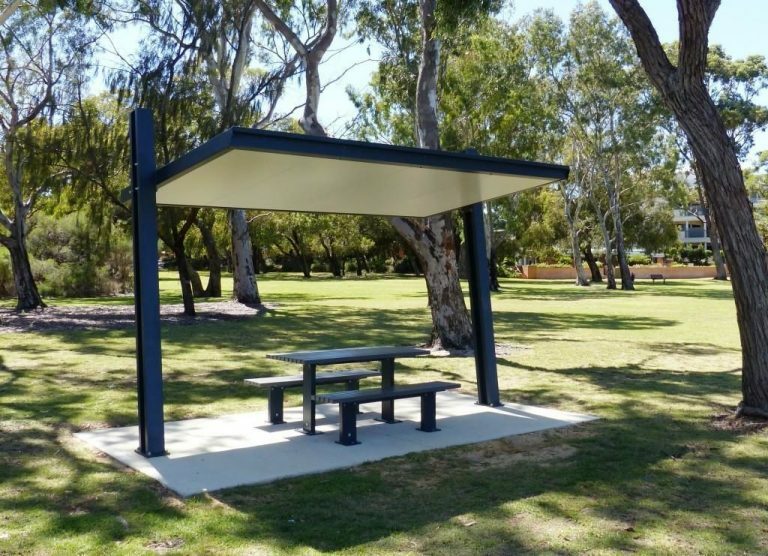 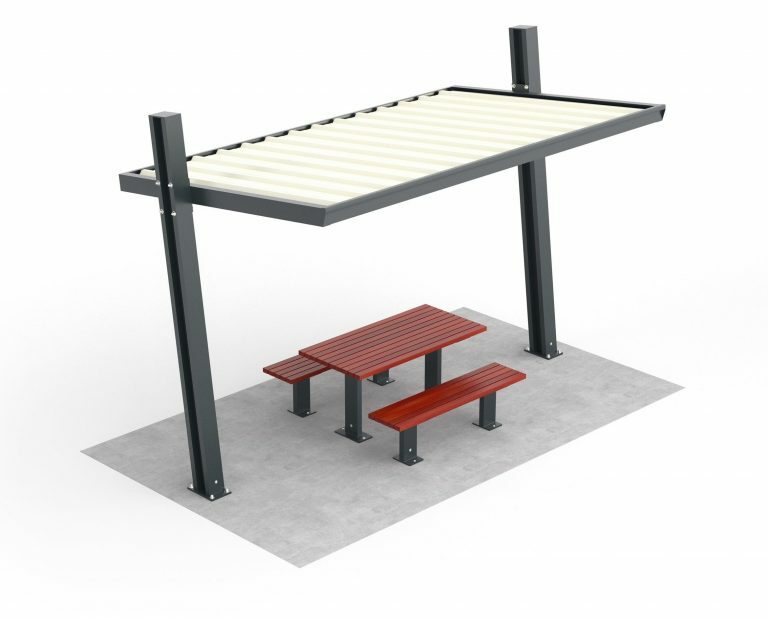 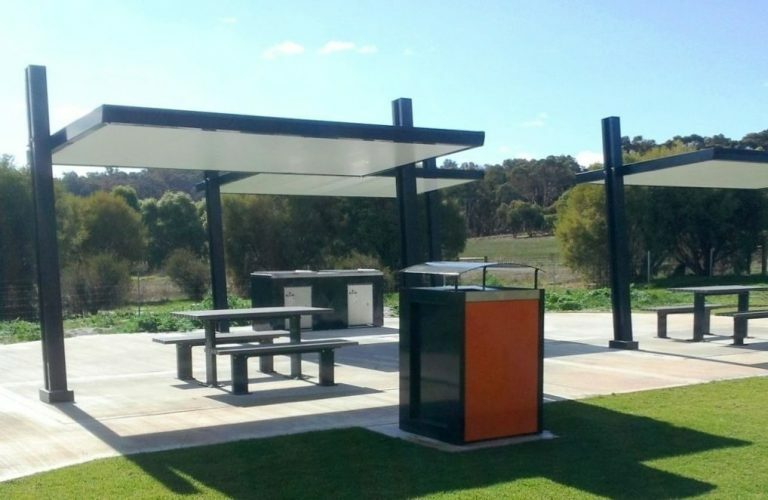 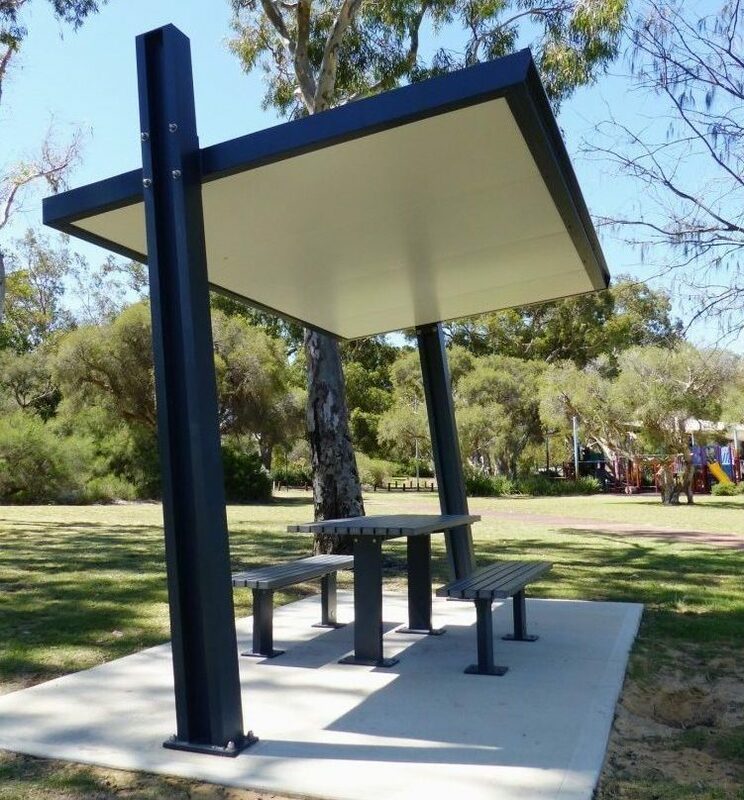 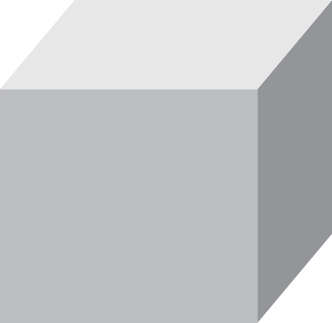 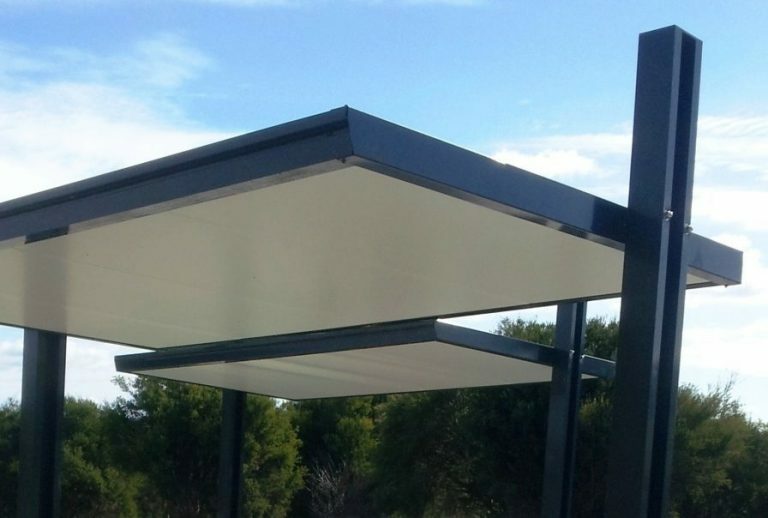 'PARKLINE' street furniture and park furniture - Picnic Shelter with powder coated aluminium columns and SolarSpan roof (100mm thick fire-retarded expanded polystyrene core with Colourbond steel ceiling and high-rib trapezoidal profile roof). 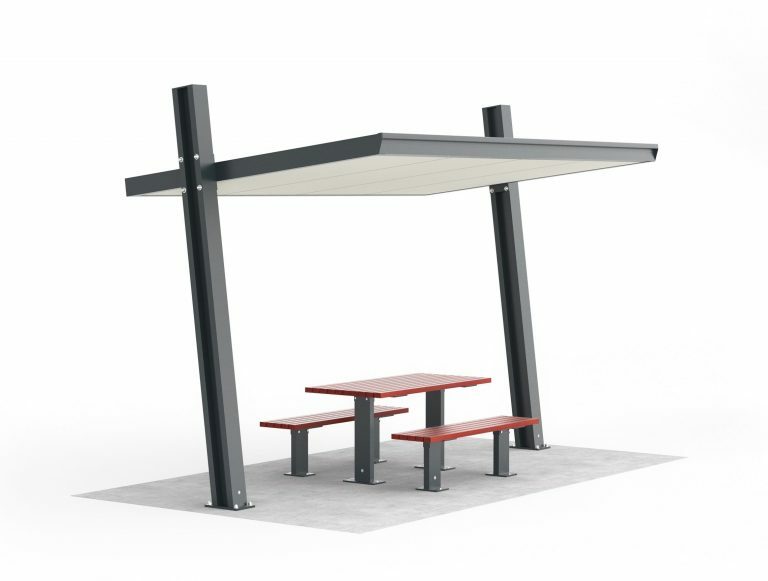 The picnic table setting shown under the park shelter is PKL:TBS-1A and is sold separately. 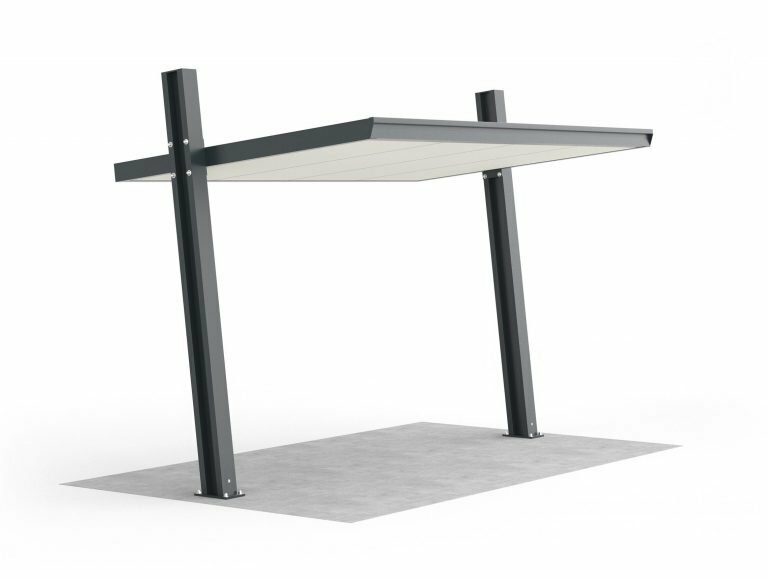 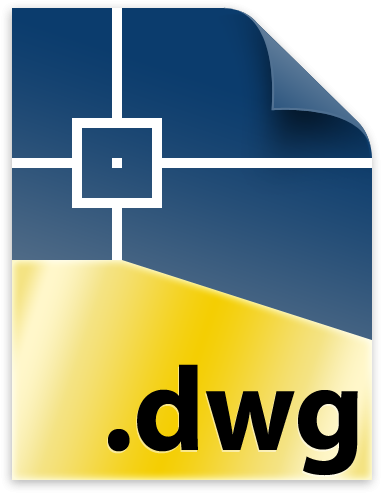 Public furniture from our other ranges can also be used with this shelter.